"The Nostalgia Calculator," by Rich Larson [bio] (edited by C.C. 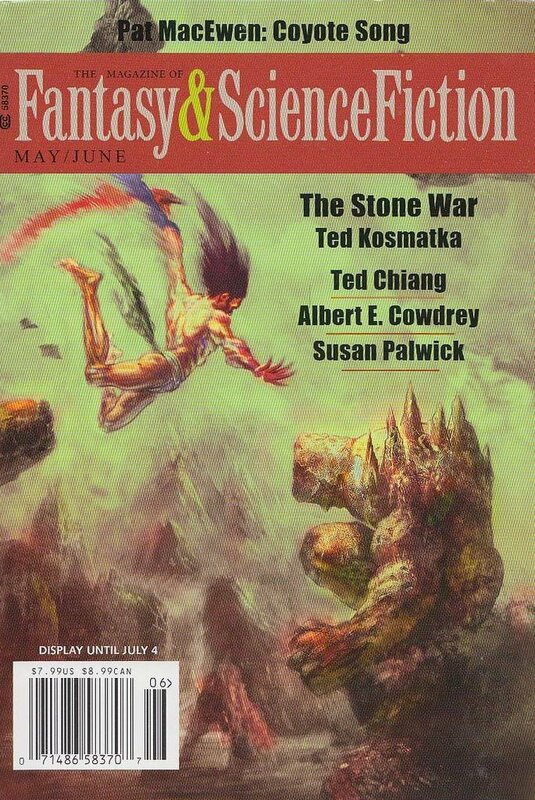 Finlay), appeared in Magazine of Fantasy & Science Fiction issue 05-06|16, published on May 1, 2016 by Spilogale Inc. Pro: The gem of this story is Noel himself. He figures out the mystery and sneakily leaks the info to the world. He may look dumb ("look up 'ignoramus' in the dictionary") but everyone underestimates him. By the end, Noel has earned our admiration and affection. Noel's futuristic slang is sort of cute, once you get used to it. Con: The premise of a nostalgia catastrophe is really, really silly. In real life, declining trends tend to meet opposing forces that prevent things from going to infinity.